Apart from House Doctor is a set of 3 shelf supports. 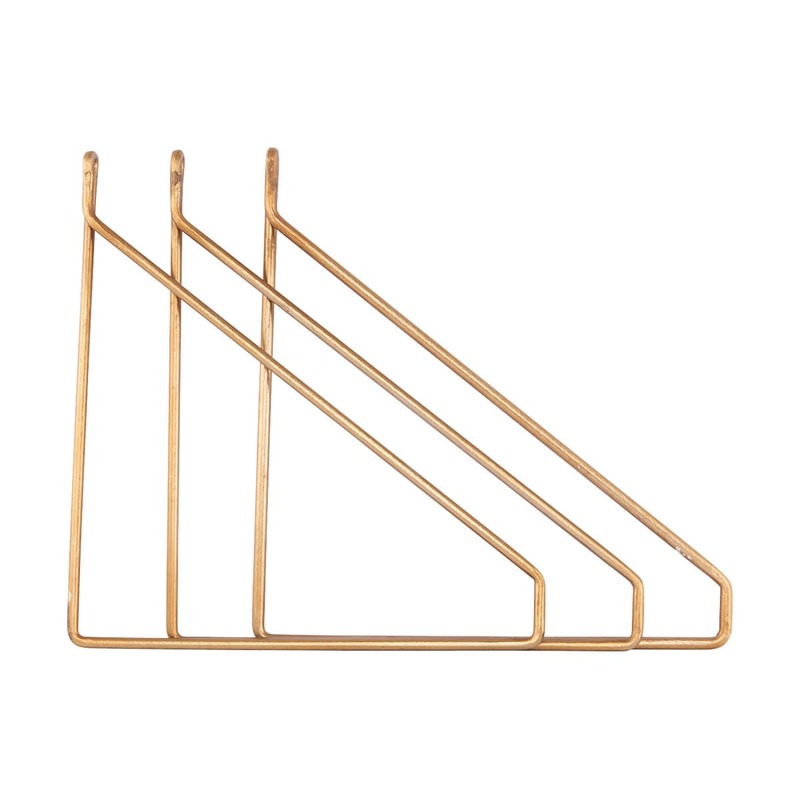 The three shelf supports are made of brass-plated iron that comes in a calm and simple design. The golden metal adds both warmth and character to your home.